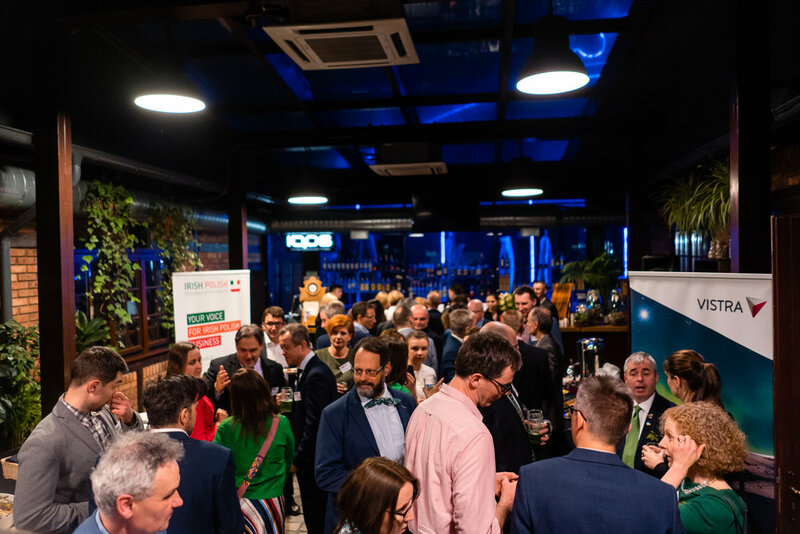 As we have done in past years, the Irish-Polish Chamber invites you to take part in an annual economic survey on the current business climate in Poland. The majority of the international Chambers and their members participate in the annual survey, which is organized by the German Chamber. Please note that the survey lasts until March 1st. The link to the economic survey is: https://indivsurvey.de/konjunkturumfrage-polen-2019/1084731/IJy88R The survey is available in ENG, PL & DE language (see : the switch-language-option in the upper right-hand corner of the first page of the survey), so you can implement it as a direct link to the chosen language version. The results will be presented during a press conference on Thursday, the 11th April, 10-12 a.m. in the press room of the Polish Press Agency, Bracka 6/8. The report following the survey will be available on line as well. It is critically important that we all complete the survey, which is well organized, interesting and does not take much time to complete. The more companies that complete the survey, the more meaningful will be the analysis and findings. 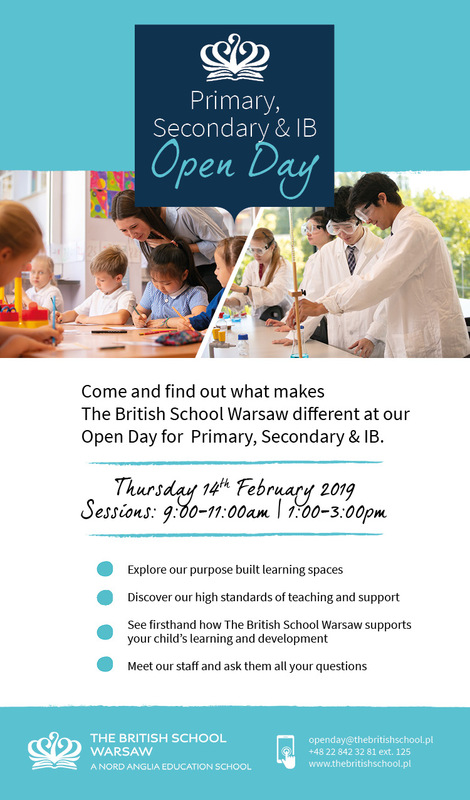 The British School, Warsaw is hosting an open day on Thursday, February 14. They will be welcoming all new families to our Primary, Secondary & IB Open Day. Location: ul. Limanowskiego 15 (Sadyba), Warsaw. -We hope you can join us for what will be a fun filled day for you and your child. 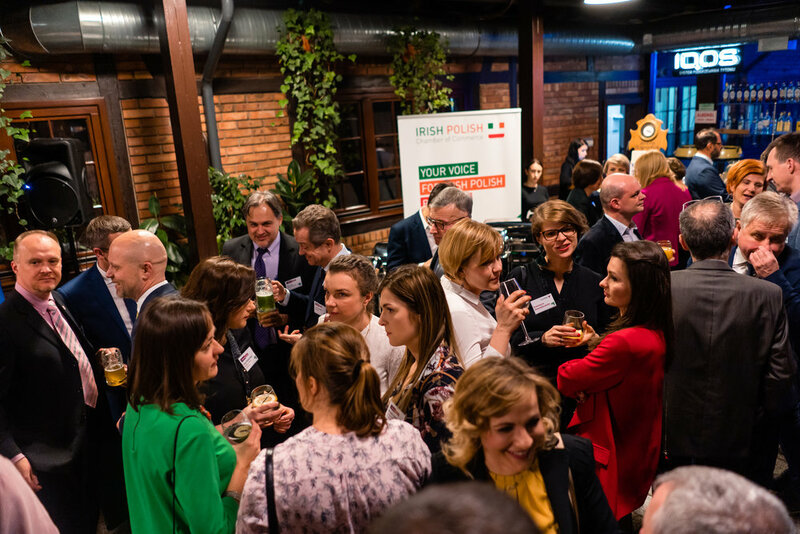 Bord Bia, the Irish Food Board are hiring Central & Eastern Europe Market Specialist Advisor based in Poland. According to the General Data Protection Regulation (GDPR), we would like to inform you that your personal data is in our database. At the same time, we would like to assure you that we protect your personal data and use it only to fulfill our commitments and obligations. In accordance with art. 13 of the European Parliament and Council Regulation (EU) 2016/679 of April 27th, 2016 on the protection of natural persons with regard to the processing of personal data and on the free movement of such data, and repealing Directive 95/46/EC, we hereby send you the following information. We assure all our Members and Clients full consideration of their privacy and protection of their personal data. The Administrator of your personal data is the Irish Polish Chamber of Commerce with its seat in Warsaw, ul. Podwale 3/9, 00-252 Warszawa, entered into the register of the National Court Register in Warsaw, under the number KRS 0000233850 and tax identification number (NIP) 525-23-31-928. If you expressed your consent to perform any actions connected with processing of your personal data, you can withdraw such consent at any given time. Such withdrawal will not affect the legality of processing of these data before the withdrawal of consent. All questions, notions and suggestions regarding protection of your privacy, in particular of personal data, should be directed to the e-mail address brianmason@irishpolish.pl. Personal data provided to us by the Clients are processed in a manner that is in compliance with the scope of consent given to us by the Clients and the requirements of law, in particular with European Parliament and Council Regulation (EU) 2016/679 of April 27th, 2016 on the protection of natural persons with regard to the processing of personal data and on the free movement of such data, and repealing Directive 95/46/EC. The personal data of Clients is stored on servers which assure their safety. Access to the database is only granted to the employees of the Chamber. Your personal data is stored by the Irish Polish Chamber of Commerce and processors (Trusted Recipients of Personal Data), only in the scope necessary for us to fulfill our obligations and only for the period necessary to fulfill the objectives for which these personal data are collected, in accordance with the binding regulations regarding personal data. In case if the Irish Polish Chamber of Commerce no longer needs to process your personal data, the data will be removed from our systems and registers, or we will undertake proper steps to make it anonymous, i.e. will make it impossible that you are identified on the basis of the data (unless we must keep your data in order to conform with legal obligations binding to economic entities, e.g. personal data entered in agreements and business letters can be subject to basic storing obligations for the period of 10 years). All other personal data can be removed after 5 years from the lapse of contractual obligations between you and the Irish Polish Chamber of Commerce. • remove all your personal data and refuse to allow for processing of your personal data. • make a claim before a competent personal data protection authority (Head of Personal Data Protection Office). The Chamber will not transfer, sell or disclose the collected personal data of its Clients to any third parties, unless with explicit consent or at the wish of the Client or at the request of state authorities entitled by the law in connection with ongoing proceedings. The Chamber does not transfer your personal data to third parties which are not our Processors – Trusted Recipients of the Chamber. Entrusting us your personal data will not result in receiving unwanted correspondence from third parties. The Chamber’s Trusted Recipients of Personal Data (hereinafter referred to as Trusted Recipients) – economic entities and natural persons who render services on the basis of personal data entrustment agreement. Trusted Recipients will process your personal data only in order to carry out the agreement with the Chamber, without the right to further process your personal data. The Chamber will each time, before transferring your personal data to another economic entity or natural person, verify the possibility of safe processing of personal data by the abovementioned. Advertising and promotional materials are only sent to Clients who have expressed their consent. This refers in particular to the news and events updates sent to the Clients who expressed their consent while filling the registration form to the Chamber or via e-mail. Expressing onsent confirms an agreement to receive information on events, activities and news in our Chamber and member companies. The processors of your personal data could be economic entities located or conducting their business outside of the EU, where the regulations regarding personal data can be on a different protection level in comparison to the regulations in force within the European Economic Area – in which the binding regulation is the European Parliament and Council Regulation (EU) 2016/679 of April 27th, 2016 on the protection of natural persons with regard to the processing of personal data and on the free movement of such data, and repealing Directive 95/46/EC. We are not currently transferring your personal data to the countries outside EU. If we are faced with such necessity and we were to decide that transferring your personal data will be beneficial to the users of the Chamber, we will immediately inform you and ask for your consent. This policy may be subject to changes which we will inform you about with available communication channels. 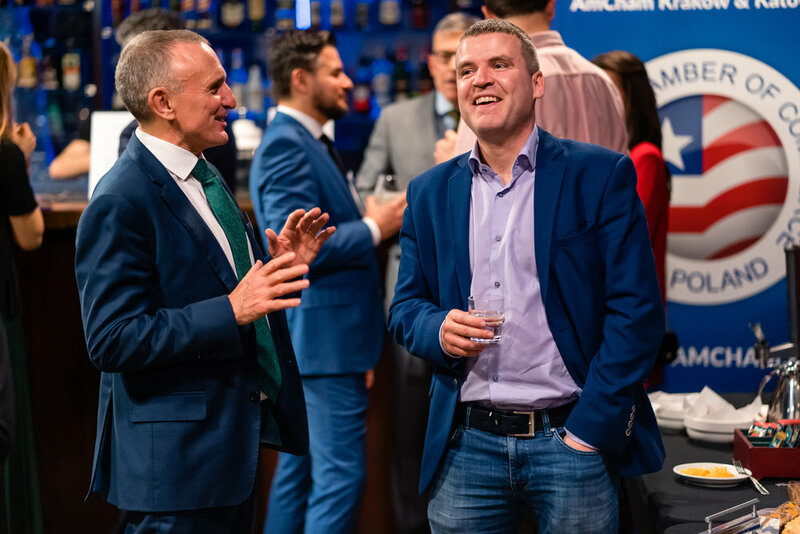 Irish Polish Chamber of Commerce. The Survey is open until March the 1st and then once the results have been evaluated late March/early April, the plan then is to organise a common press conference in April, covering the survey’s presentation to the media with a discussion panel. The Chamber is very grateful to Maciej Reluga for sharing his time with Chamber members during a breakfast meeting on January 24th and for making a remarkable and clear presentation on the 2017 economic outlook for Poland. Mr Reluga is the Chief Economist in the Economic Analysis Department of Bank Zachodni WBK S.A., a member of our Chamber.